Just because something's important doesn't mean you can't find a shortcut around it, henceforth why your mail order bride loves rubbing your 6-minute abs. For a quick way to help your finances, hit InOutCash. 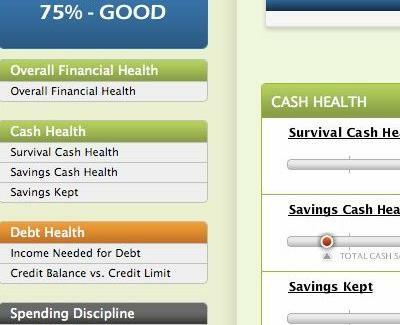 A quick & easy alternative to onerous checkbook balancing and general... responsibleness, IOC's a money-management web tool that requires only a few minutes of info input to sort your spending habits, assess your overall financial health, and offer advice on how to improve your fiscal responsibility, minus the tired lecture about buckling down in school. Simply submit your bank/credit card online account info (guaranteed secure) and the site'll aggregate every transaction made in the last 90 days (assigning each one to a category, e.g., groceries, travel, entertainment, investments...child support), while also factoring in any info you provide on loans or debt you've accrued, whether from buying a house, or betting on the Knicks because they landed Eddie House. 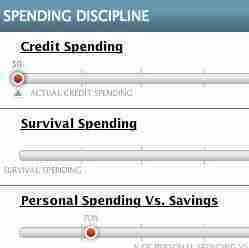 Individual expenses get categorized as either "personal" or "survival" and're used to inform interactive sliding bars covering three areas (cash, debt, and discipline), each of which show your current standing and can be moved to see how various adjustments will affect your stacks; depending on your performance, they'll offer tips on everything from growing your savings to managing your credit limit, and there're even animated "coaches" who'll admonish or praise you, though unlike your high school baseball coach, that praise won't come in the shower. The plan is to continually roll out new features to keep you on-task, including budgeting tools and bill paying to-do lists, which you should have plenty of time to tackle considering it only takes seven and a half minutes to bust out your abs and your wife.